Use machinery, the environment and a friendly mouse to progress through the Stronghold of Toragos and become the first goat to do so, all while you save your friends from eternal slumber. 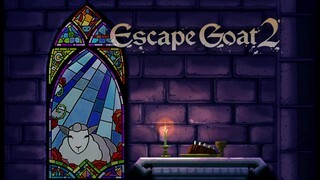 The game includes more than 100 rooms containing many puzzles, traps, movable and destructible walls and much more. Best time: Single-segment 0:13:39 by 'StingerPA' on 2015-01-20. Only major mistake was in 9-2 where I missed a very difficult trick that saves 17 seconds. Otherwise, there are bits of time here and there that could be saved.